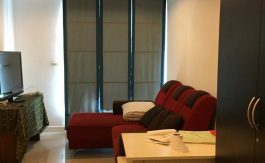 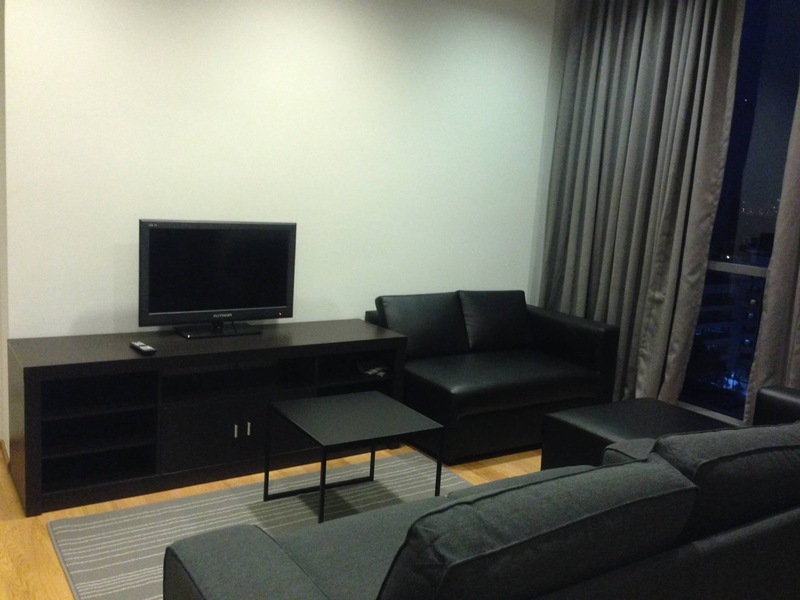 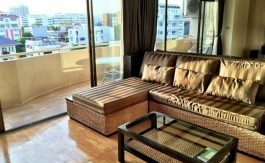 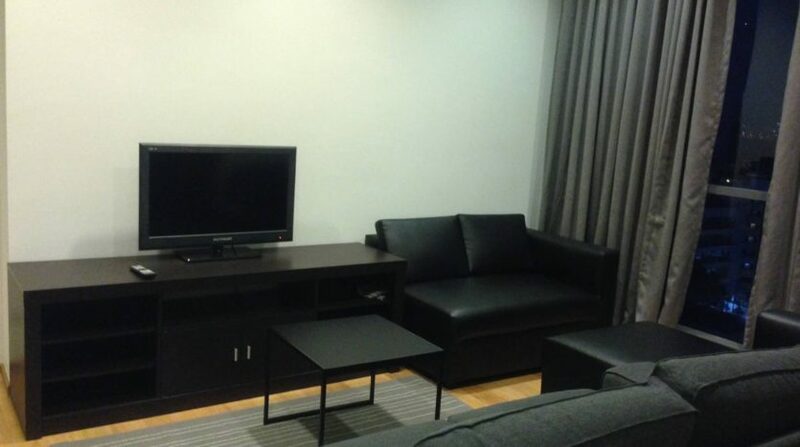 One bedroom condo is available for rent on Sukhumvit 13, situated on the 9th floor the units space accommodates the living room with a black leather couch, coffee table. 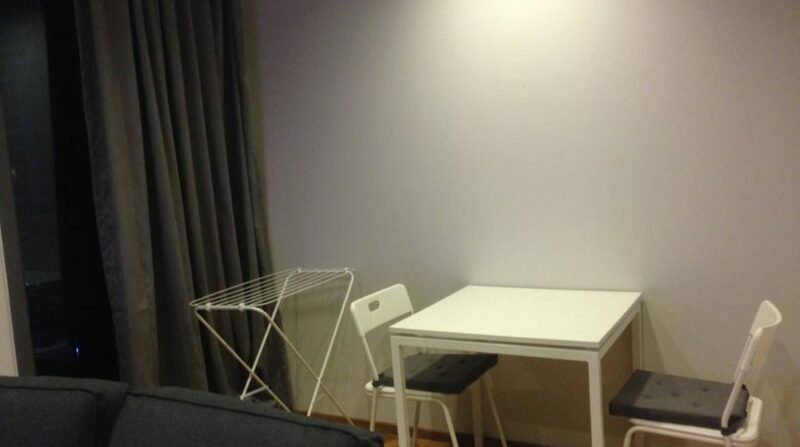 flat screen TV, and a dining set for two in the corner. 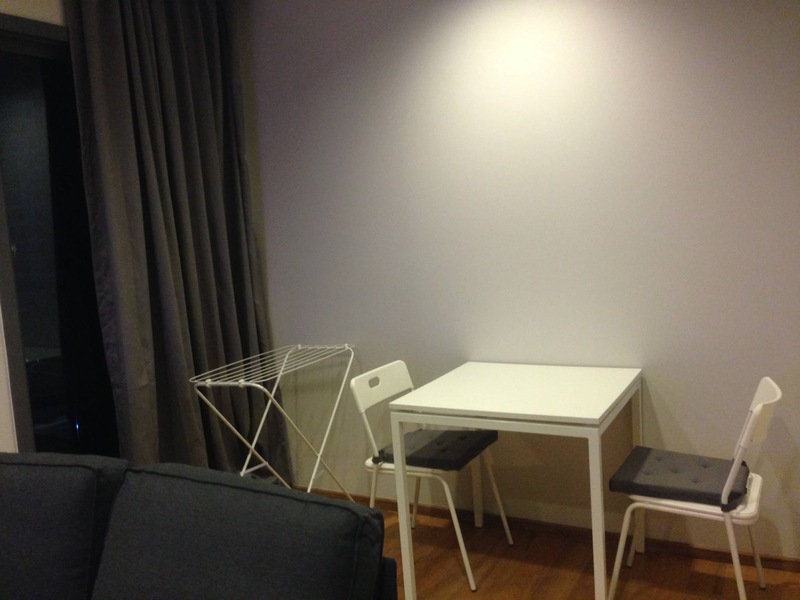 A small balcony that can accommodate a small table with chair. 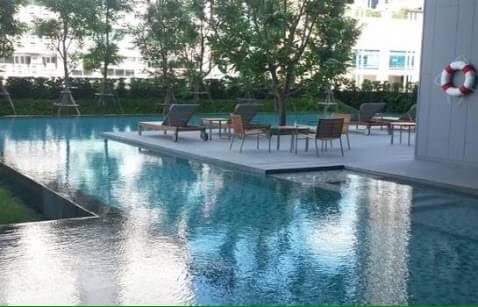 Facilities include 24-hour security, lounge and reception, library, kids’ playroom, fitness gym, yoga studio, and resort-like amenities with a lap pool, kiddie pool, daybeds, sun decks, outdoor barbecue and dining pavilion, and Jacuzzis. 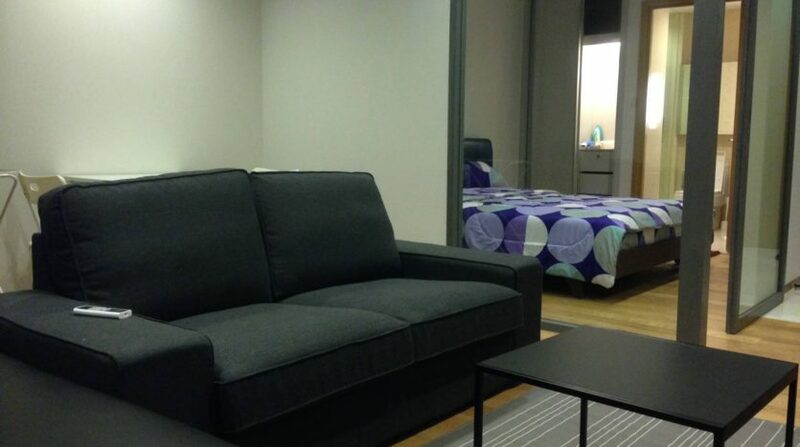 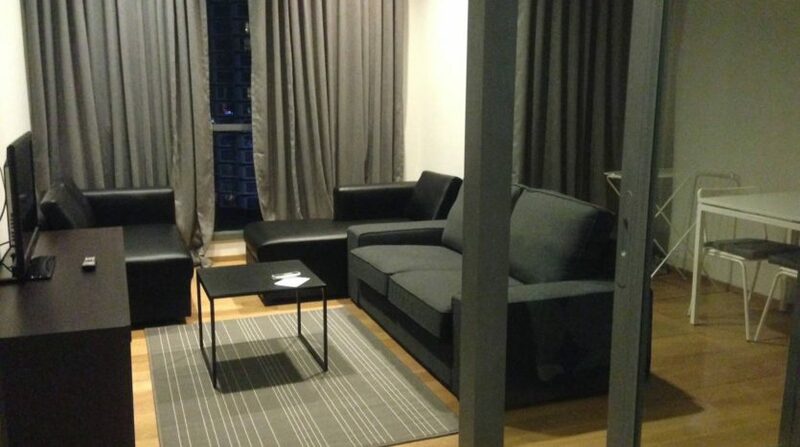 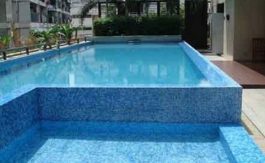 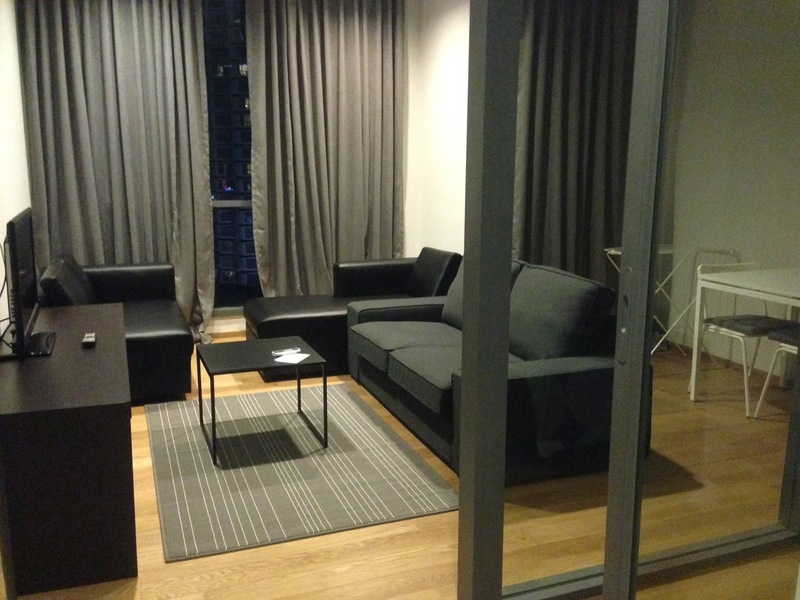 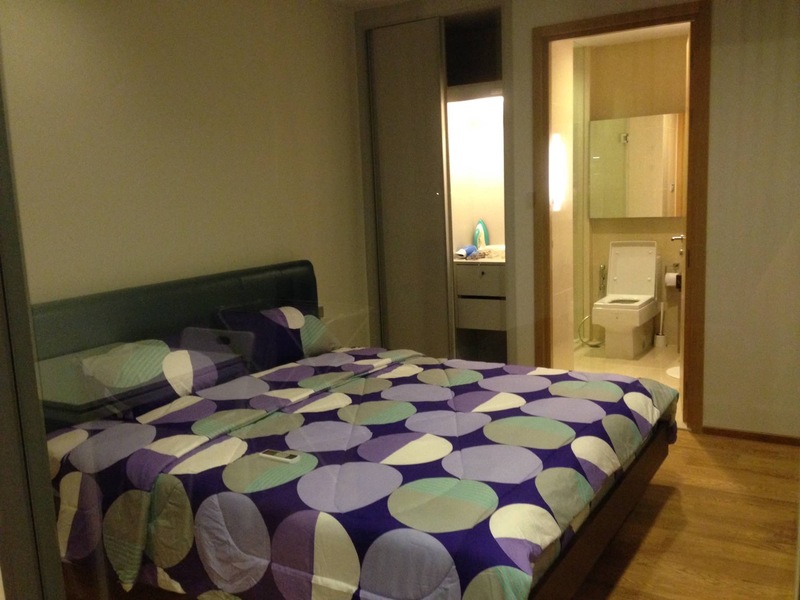 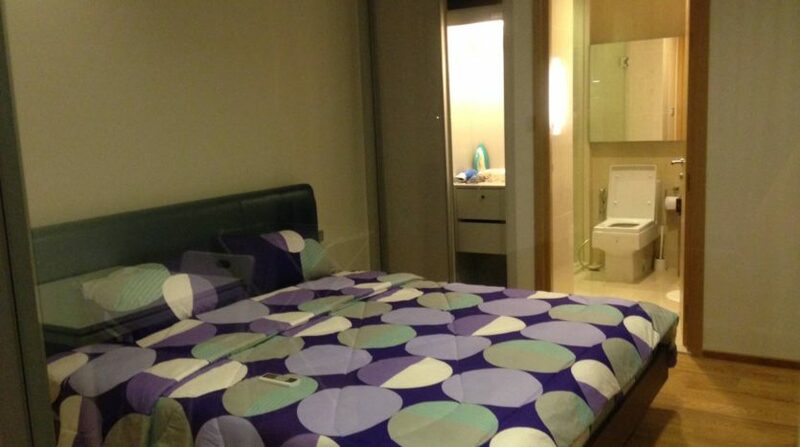 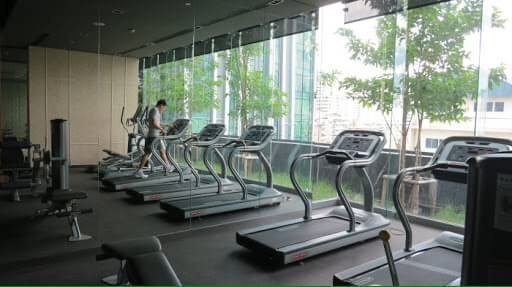 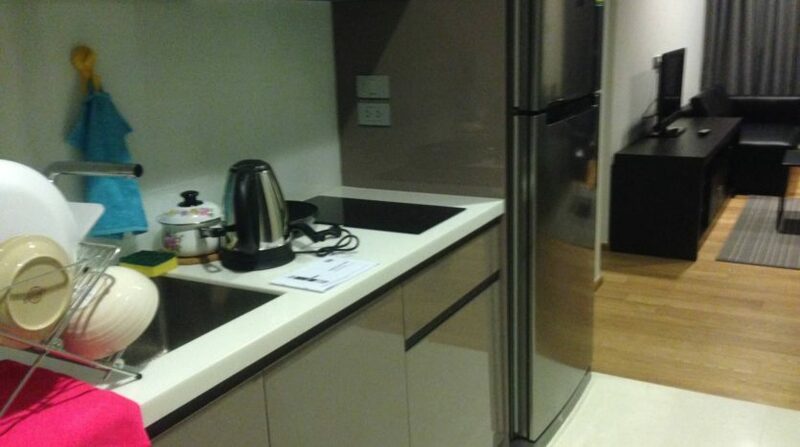 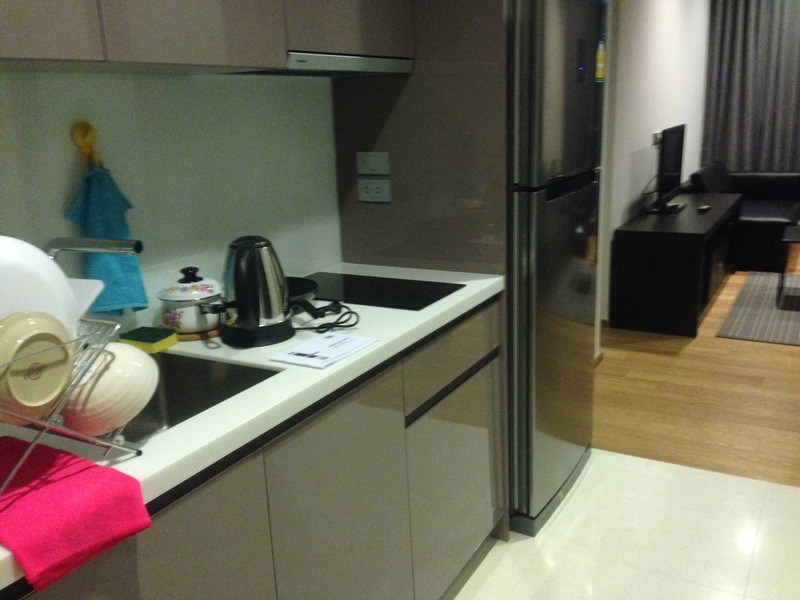 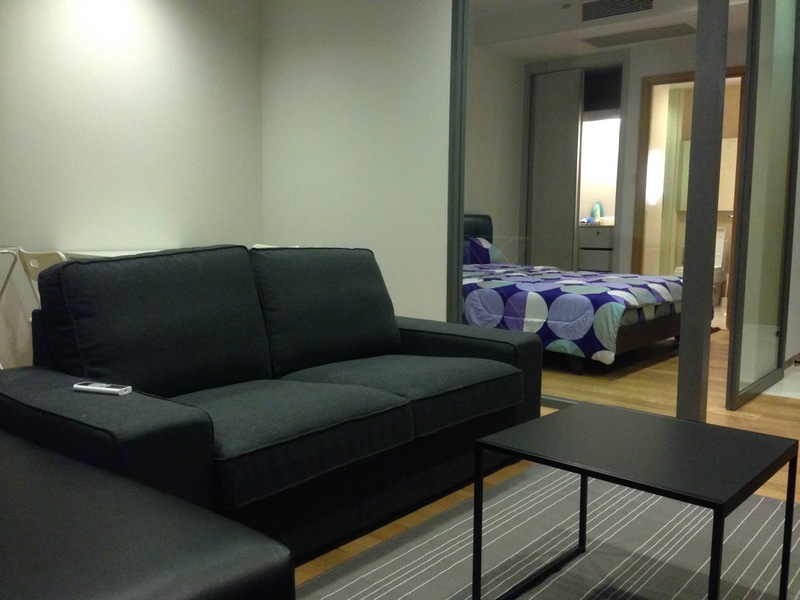 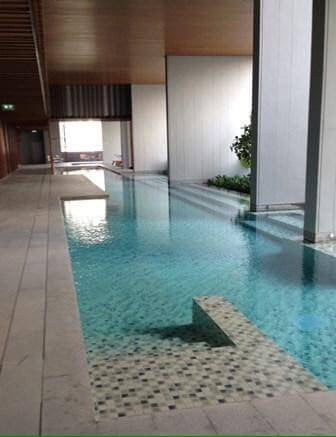 Location of this condo in Bangkok is on Sukhumvit 13 only a short walk from BTS Nana. 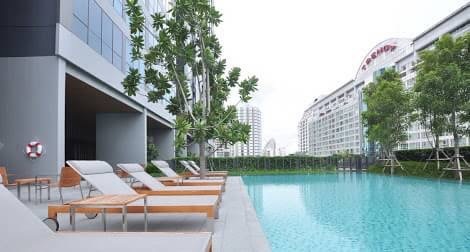 This downtown hub is dotted with retail shops, popular restaurants, international businesses, Bumrungrad International Hospital, Terminal 21 shopping center and many more.